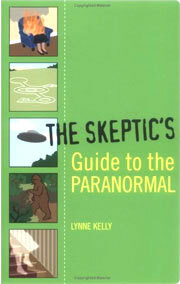 The Skeptic’s Guide to the Paranormal, US Edition published by Thunder’s Mouth / Basic Books. The Skeptic’s Guide to the Paranormal describes some of the best known pseudo-scientific claims and the rational explanations which can be offered to explain what is weird and wonderful. The real world is awesome – witness the birth of a child and nothing will surpass it. People can be awesome – read the best literature, study the best art, listen to the most glorious music and you will have no doubts. Science is awesome – from the atoms to the universe via the human brain, there is so much we still don’t know. We don’t need pseudoscience to embellish reality. The Skeptic’s Guide to the Paranormal is from a personal perspective, just telling it the way I see it. It is available through all bookshops, including Amazon. Details of the divination system I created to do ‘psychic’ readings can be found here: Cold reading with Tauromancy. 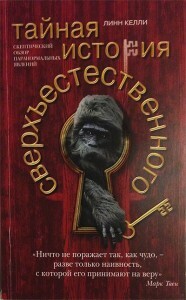 The Skeptic’s Guide to the Paranormal in Russian! Buy this book. … Lynne Kelly has been teaching science and maths for over 30 years but there are few overt traces of pedagogy in The Skeptic’s Guide. Rather she carefully lays out the claims and explanations made for variously commonly held beliefs then leads the reader gently towards consideration of other explanations. 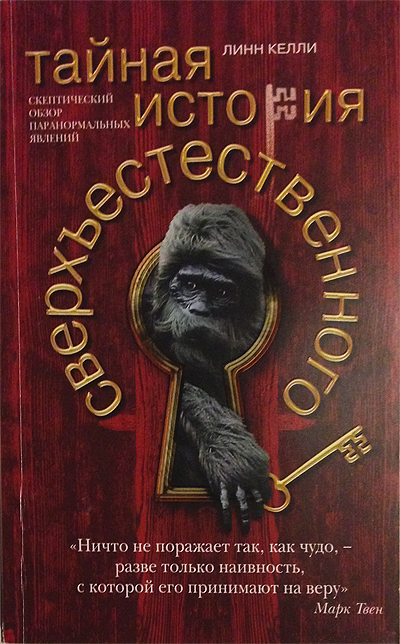 … This is a book no skeptic can afford to be without. It will give you the wherewithal to answer all those questions which constantly crop up at dinner parties, meetings of the knitting circle or football club, and in terms that require no deep understanding of quantum physics or abnormal psychology.” Barry Williams, the Skeptic, Winter, 2004.